This pasta is so rich and flavored! The best part is that it’s super easy to make and the ingredients are not hard to get at all. Here I made it, loved it and we devoured it. I hope you give it a try sometime soon. If using dried chickpeas, rinse and wash thoroughly them in a bowl covered with plenty of fresh cold water and soak overnight. Boil water in a saucepan and cook pasta as per the package instruction. Drain and set aside until required. In sauce pan heat oil over medium heat, add garlic, ginger and cook until fragrant about 10-20seconds. Add in onion and saute until translucent. Add chickpeas, boiled and diced potatoes, chilli powder salt and cook for 5 minutes. Add tomatoes, chickpeas broth and bring to a boil. Reduce to simmer and cook until sauce has reduced slightly for about 15-18 minutes. Add basil, ground cinnamon and cook for 2-3 minutes more. Add cooked pasta and toss and simmer until heated through. Finally serve with cheese and garnish with torn basil. Can cook potatoes in a different pan or along with chickpeas but sauting makes it crunchy in pasta. So feel free to cook as per the convenience choice. Spices and herbs can be personalised as per the taste. 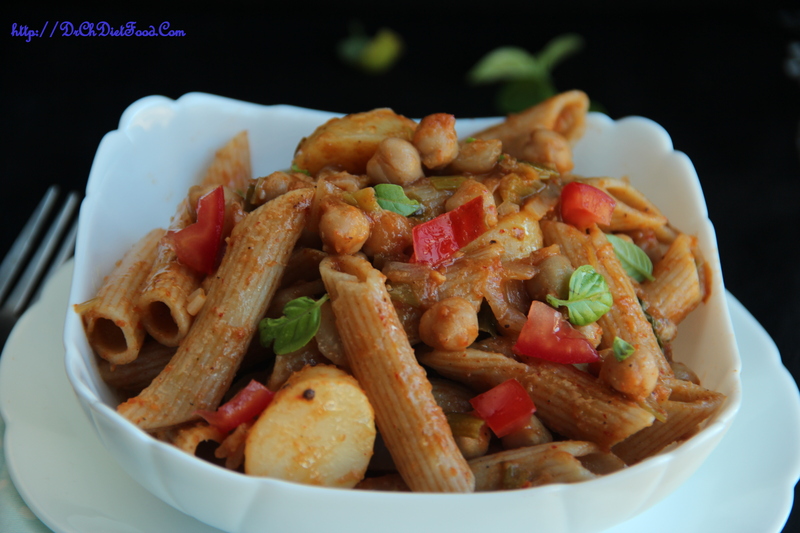 Posted on July 14, 2015, in Indian, International, Main Course, Main dish and tagged chickpea potato pasta, garbanzo bean potato pasta, indo- Italian pasta, pasta in indian style, Quick pasta dishes. Bookmark the permalink. 25 Comments. 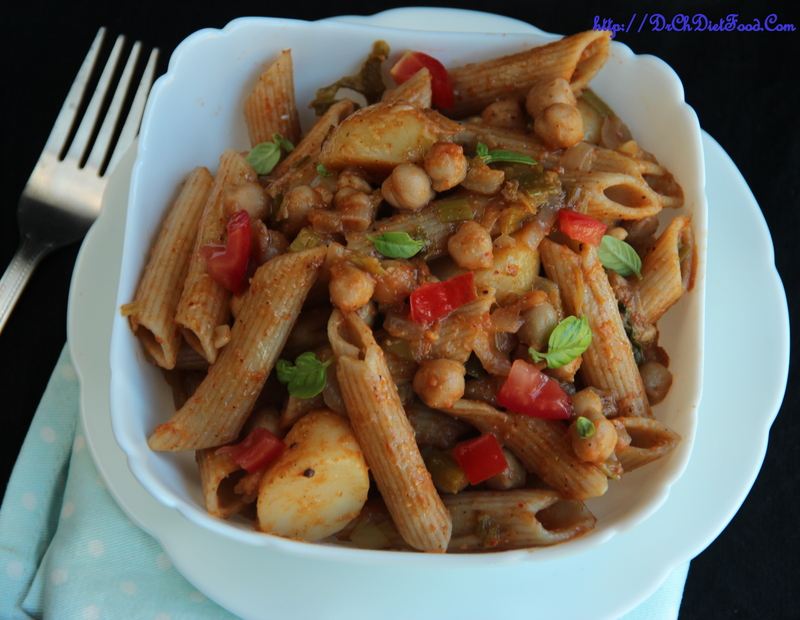 I frequently make Indian/western fusion pasta dishes simply because my husband loves them. Interesting idea to add chickpeas to pasta, never thought of that before.